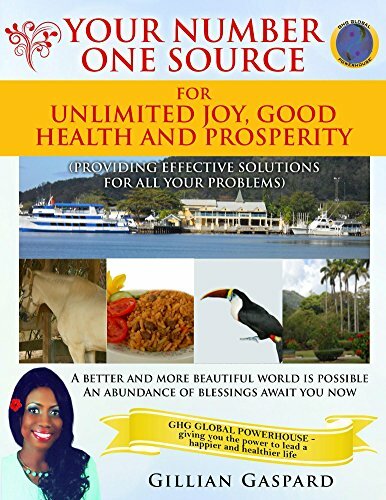 This book is an essential guide for NGOs, Volunteers, The Business Sector, Educational Institutions, Official Agencies, Religious Bodies, Governments worldwide and for anyone who desires a better life. This book even teaches you how to get rid of Ebola. This is a book every home should have, as it gives healthy cooking tips for the family and also Feng Shui tips to create a peaceful and harmonious environment in the home. This book teaches you how to lead a happier and healthier life and gives valuable ideas in dealing with urgent environmental challenges, such as Global Warming and Climate Change. Governments will learn how to reduce Greenhouse Gases significantly. It also teaches how to achieve Energy Security and boost Energy Efficiency. This book helps to raise environmental consciousness globally and creates a new awareness of how we can positively impact the earth and our personal health. This book holds the message of Personal Health, Global Environmental Renewal and a Practical Plan for Peace that starts with each one of us. This book also contains many helpful resources to help us move towards a more sustainable future and achieve prosperity for all. This book is of great value to the Media. It provides information for Entrepreneurs and people wishing to start their own home business. Also there are many Career and Job Resources for job seekers. You will find many resources for parents, healthcare professionals, business managers, speakers, business coaches, teachers, counsellors, beauty consultants, makeup artists, creative artists, photographers, real estate agents, architects, farmers, people in the oil and gas industry, people in the travel and tourism industry, non-profits and environmental companies. It also provides special information and helpful resources for Diabetics. With this special book, your health will greatly improve, and it will bring you much wealth, and a level of happiness that you have never experienced before. This book is also of great value to people in the Energy Industry. Presently, Energy Security is at the top of the agenda for many world leaders, and high energy costs can be one of the key bottlenecks for hindering economic growth and prosperity for countries. This book deals with Facilities Management for improving operating efficiency and productivity, and to generate less waste. It even contains strategies and ideas for increasing Energy Security and focuses on renewable energy sources, enhancing service delivery, innovative green tech companies and websites for support agencies as well. The availability and reliability of energy services remains crucial to the recovery and sustainable development of many countries today. This book can help energy companies to reduce inefficiencies in their energy systems by saving energy, reducing waste and minimizing losses. In this book there are steps (green practices) that countries and development partners can take to attract Investments for sustainable Energy initiatives. Additionally, you will learn how practicing gratitude daily, can miraculously change your life. Dealing with domestic violence and how to maintain healthy and happy relationships are also in this book. You will learn how to control your thoughts and emotions for a healthy and joyful life. There are various health resources for dealing with stress, depression and weight loss too. Business Managers will find lots of ideas on how to create a healthier and better work environment for their staff, how to help their staff work smarter and better, how to improve work relationships and increase profitability. You will learn how to attract wealth and success easily and how to get what you want. There are funding resources for NGOs/Non-Profits here. Governments will also learn how to create sustainable jobs, reduce food shortages and increase food security. There are key tips for Governments to achieve economic prosperity. This book gives you great value for money!